This game is an adaption of Tetris in 3D -but can be played comfortably. 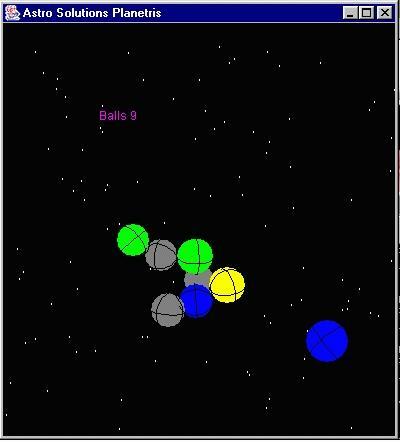 You only have to turn the constructed ball-figure to add more balls flying to you in space. But to every type of ball you can only add a special number of balls.